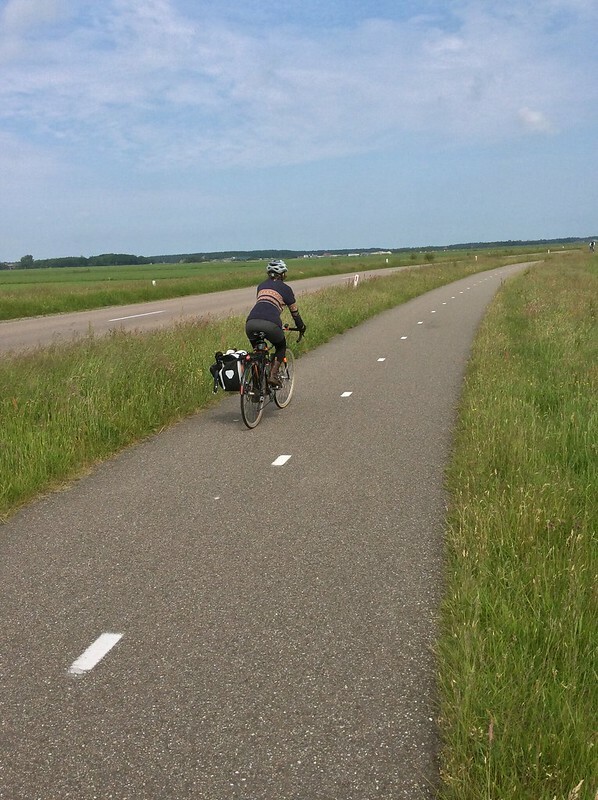 After leaving Texel last week, we took a ride over a very long dike - 32 km! It felt like a huge accomplishment as part of a 60 km day, and it was pretty fun to do. 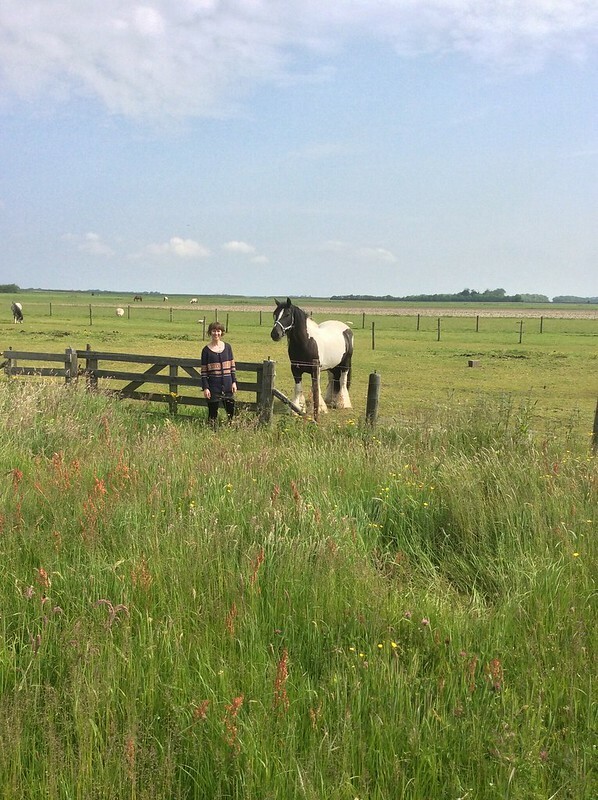 Since then we've been riding through Dutch countryside, following our GPS along the "shortest route" south toward Utrecht, and camping a night or two at each spot. Taking the shortest, rather than the fastest route has taken us through winding streets, along dirt paths, and into towns and cities. I haven't done this kind of travel before, and I've really been appreciating all the variety it's allowed us to experience. At one of our campsites, there was a sweet cafe, and local church bells chimed out the hours and each half hour. It was actually really useful and I find myself missing the bells to tell me what time it is. Another campsite was set along a canal and we ate out lunch watching leisure boats float by, including a whole house! We've hardly met any other foreigners. It seems like everyone staying where we've stopped is from some other part of the Netherlands and staying at their usual holiday spot. Maybe that's because we've spent hardly any time in cities aside from our first week in Amsterdam and our day ride through Leeuwarden. There are a whole lot of very small campsites around called Minicamping. They're often just someone's farm where they've added washrooms, sinks, and showers, and let visitors set up in open fields. Some of them have wifi, allowing me to work on this blog and other social media, but it's a bit hit and miss. The other travelers we've met are mostly in RV's and we've only seen a few other tent campers and a few other cycle tourists, though we have seen a whole lot of farm animals - horses, sheep, and cows especially. Most people we've met have spoken at least a little English, though, which makes getting around and communicating easier. However, I definitely miss being able to read signs. They look like they must be full of such helpful information and it's all inaccessible to me! We arrived in Utrecht today, and we expect the rest of our trip to be a little bit more urban. There are campsites within easy riding distance of all the cities, so it should be easy to make camp for a few nights and then explore the surrounding areas. You may be asking, "But what about the knitting?" I'm definitely getting some knitting done in the evenings after our daily riding is done, but it's all secrets! My yarn is lace and sock weight so that yardage will last more of the trip with less weight. It's been warm enough recently that I haven't needed my knitted accessories very much, but my sweater has been priceless. I love that it's loose fitting so I'm comfortable riding in it unless it's very hot and sunny. The snap closures are easy to open while I'm riding, so if I need to ventilate, I don't need to stop to do it. And the sweater has been shoved under a bungee net for easy carrying, crammed into a pannier, and worn in all kinds of weather, and it looks fantastic. A few pills have emerged, but if anything, I think the wear has made it even more cohesive and beautiful.